Hello and thank you for visiting my website. 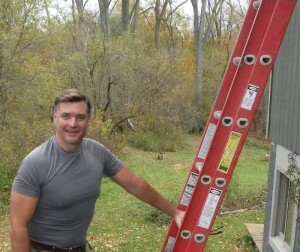 I am Steven Bronsberg of Steve’s Home Inspection Services, LLC. Steve’s Home Inspection Services, LLC, is a fully insured general home inspection provider that offers various inspection services, (comprehensive home inspections, annual inspections, well, septic system inspections, water testing, radon testing, certified foundation inspections for manufactured homes, manufactured home inspections) for perspective home buyers, sellers, real estate investors, real estate agents, mortgage brokers, lending institutions or anybody that needs a professional inspection. Honesty, Integrity, Faith and Humility are the cornerstones of who I am, this is my character and how I conduct my life and business. My goal is to earn your trust so we can build a lasting relationship by providing the service(s) that you want, when you want it so you can make informed decisions. You are reading this because you are ready to make a major investment in a home and you are concerned about the unknown risks of your investment. I completely understand and can mitigate much of that anxiety. 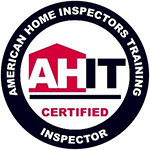 I am a Certified Master Home Inspector through AHIT as well an active member of InterNachi. As a Licensed Residential Builder (since 2004) with a focus on home remodeling, I see the opportunities / solutions that other inspectors may not. Serving: Ann Arbor, Brighton, Fenton, Fowlerville, Gregory, Hamburg, Hartland, Howell, Pinckney, Webberville, Williamston, Milford, Novi, Owosso, South Lyon, Whitmore Lake and surrounding areas. 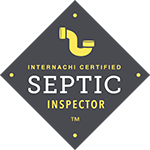 Copyright © 2019 Steve's Home Inspection Services, LLC. All rights reserved.